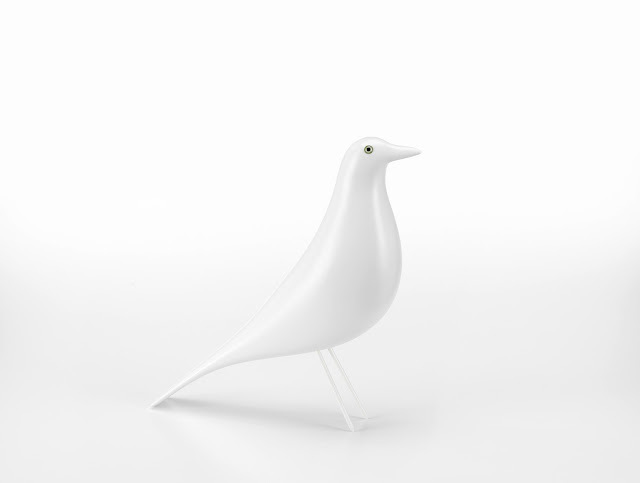 EAMES House Bird White. 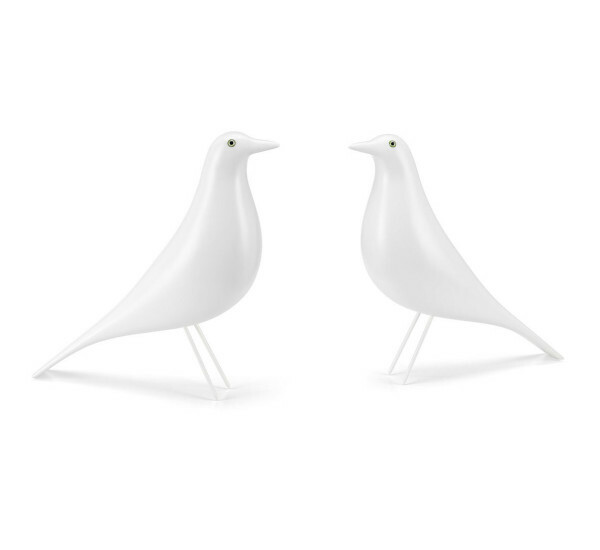 New White Vitra Charles and Ray Eames House Birds; the original made in Europe! Vitra's White Eames House Bird is an exemplary item, and has consistently occupied a central place in the Eames House; an icon of 1950s architecture. This modern-looking bird is perfect for any style of house. Made out of Alder wood, this monochromatic fowl is perched on two steel legs and is ready to be a decorative object nearly anywhere. 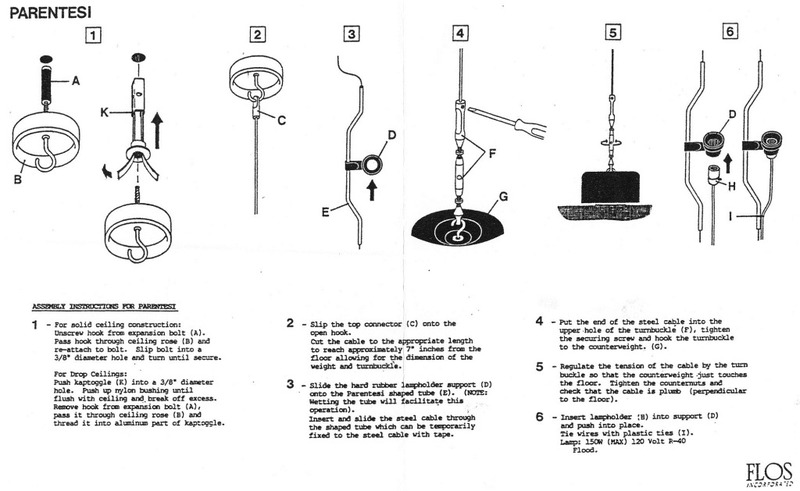 Length 11", Width 3.25", Height 11". Please note that this is a LIMITED EDITION from Stardust. For decades, the Eames House bird stood in the centre of the Eames House, the private house of Charles and Ray Eames. The iconic Detailed Decorative Wood Bird also appeared in many photographs taken by the couple at their house. 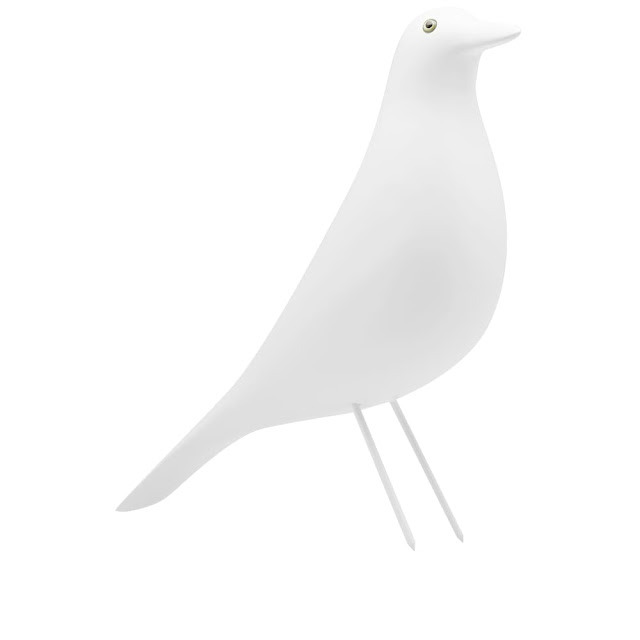 The Eames House Bird, made of wood and originally only in black, is now also available in white, but only for a limited time. 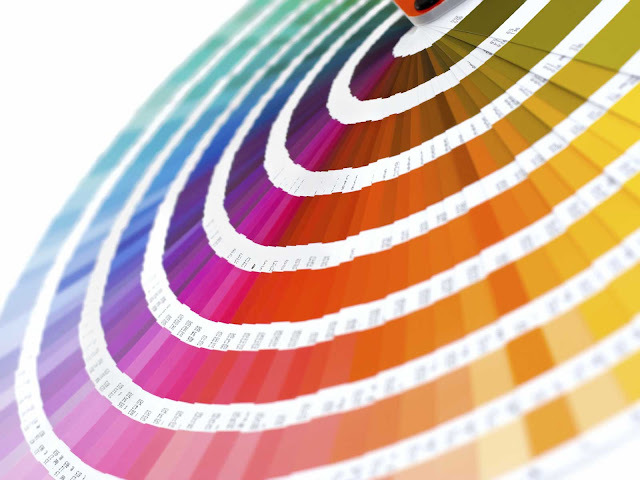 This new version adds a fresh touch to every interior. The Eames House Bird in white. The black bird was a famous object that appeared frequently in pictures taken by Charles and Ray Eames. 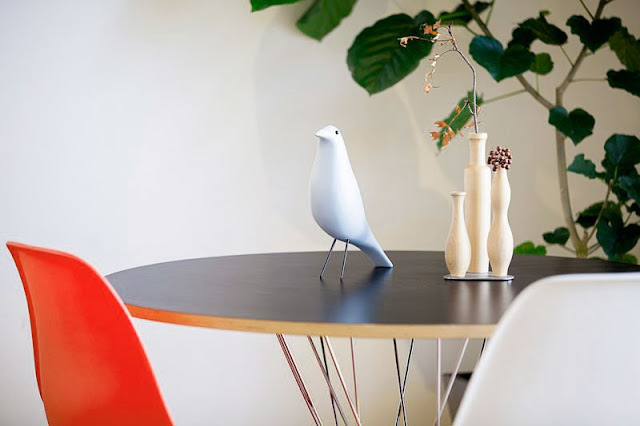 Charles and Ray had the original bird in their house and since 2007 it is available for a wider audience through production by Vitra. Made of white lacquered solid alder wood with legs made ​​of steel. 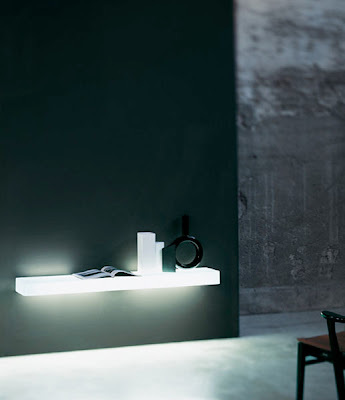 Now in white, a beautiful object for every home! 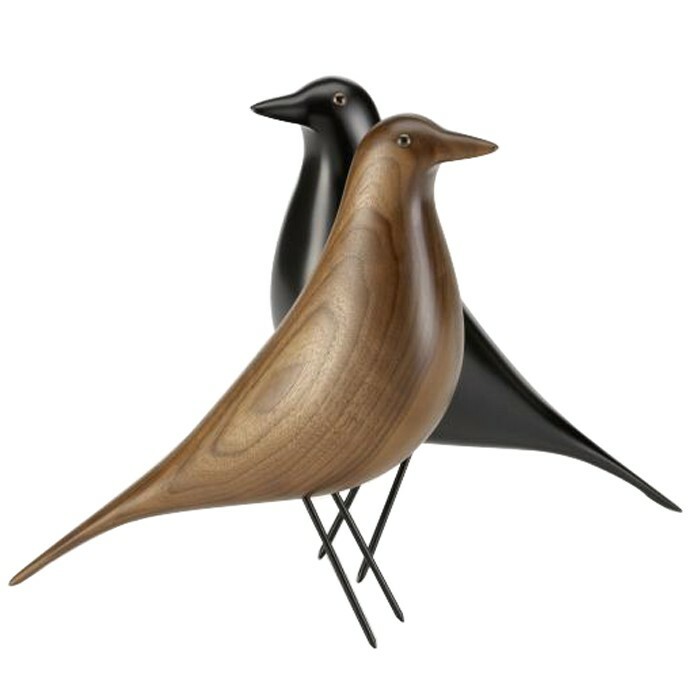 These freestanding wood birds (also available in walnut or black) make the perfect accent piece on a mantel or table top in any decor. Shop Stardust.com for the best decorative+wood+birds.